The Warcraft movie is nearly here, and if you don’t know your Gul’dans from your Garonas, everything in the trailers probably looks monstrously confusing. Don’t worry, we’re here to help! Here’s what you need to know about the weird world of Azeroth before you start your journey (into a movie theater). That Inn is totally in the movie though. No, really! It’s not actually based on the hit World of Warcraft video game. There is only one reason we’re getting, of all things, a Warcraft film in the year of our lord 2016: World of Warcraft. Whether you’ve never touched it or sunk hundreds and hundreds of hours into the insanely popular MMORPG over the past 12 years it’s been running, odds are you have heard about the pop culture phenom at some point (or seen that South Park episode about it). And yet, surprisingly, Warcraft the movie is not based on World of Warcraft or its various story expansions. Neither is it based on the more obscure but iconic-amongst-gamers Warcraft III, the third game in the franchise that told the story of a human prince named Arthas Menethil, who became corrupted by evil and fell to the forces of villainy, rising as the terrifying Lich King—the story most fans would love to see told on screen, and even expected when the film was getting under way all those years ago. Instead, the movie is based almost entirely on the story of Warcraft: Orcs & Humans, the original real-time strategy game that started the franchise in 1994. The film isn’t a direct translation; some things change simply for the film, others are the product of Blizzard Entertainment, who created Warcraft, tweaking and retconning their franchises origins over the years to better serve World of Warcraft. 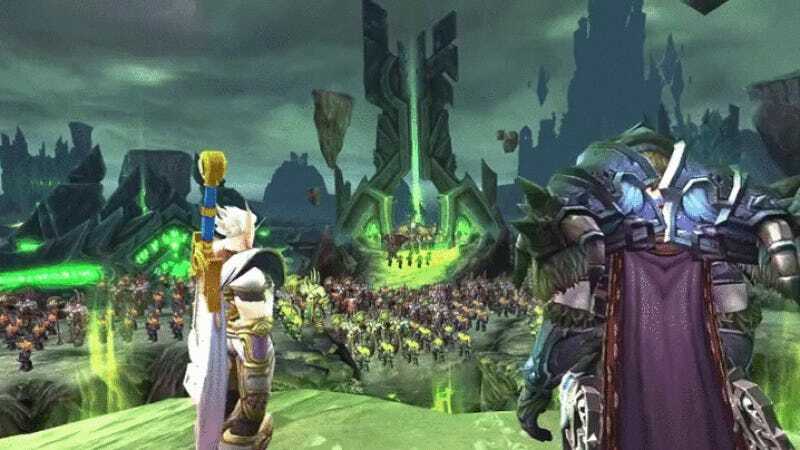 But odds are even if you’ve heard of WoW before, you probably aren’t going to be all that familiar with some of the heroes and villains that show up in the movie, set in a world 30 years before the events of the wildly successful MMORPG. It’s a story of two worlds. Warcraft, at a first glance, looks (and mostly is) about as traditionally “fantasy: as you can get: There’s knights in shiny armor, castles, mages casting spells, and big burly orcs. But it also has a bit of a sci-fi twist. Those big burly orcs I mentioned? They’re actually big burly orcs from outer space. There are two big important planets in the Warcraft fiction: Azeroth, home to the humans, and Draenor, home to the Orcs. Azeroth is lush and vibrant, Draenor is barren and wasting, having been picked apart for resources by the orcs for generations. After making a sneaky deal with some evil demons called the Burning Legion (more on them later), an orc Warlock called Gul’dan (played by Daniel Wu in the film) begins uniting the Orc clans on Draenor to build a not-at-all-ominously titled Dark Portal that connects Draenor to Azeroth, so, as the orcs believe, they can invade and find a new, bountiful home. In actuality, they’re invading because Gul’dan has sold their souls to the Legion, who just enjoy invading worlds a lot. From left to right (big breath! ): Forsaken, Troll, Tauren, Blood Elf, Orc, Human, Draenei, Dwarf, Gnome, Night Elf. It’s the Alliance versus the Horde. There’s a lot more to Warcraft than orcs and humans (despite the fact that this movie is based on a game called Warcraft: Orcs and Humans). Although the movie doesn’t really show it, we’ve seen a few shots in the trailers of elves and dwarves, but their involvement is minimal at best. However, Draenor is also home to the Draenei, a race of blue-hued humanoids who had fled from their real home planet after it was ravaged by the Burning Legion. But they won’t really factor into this movie a lot, as they only really start to show up later in Warcraft’s timeline. 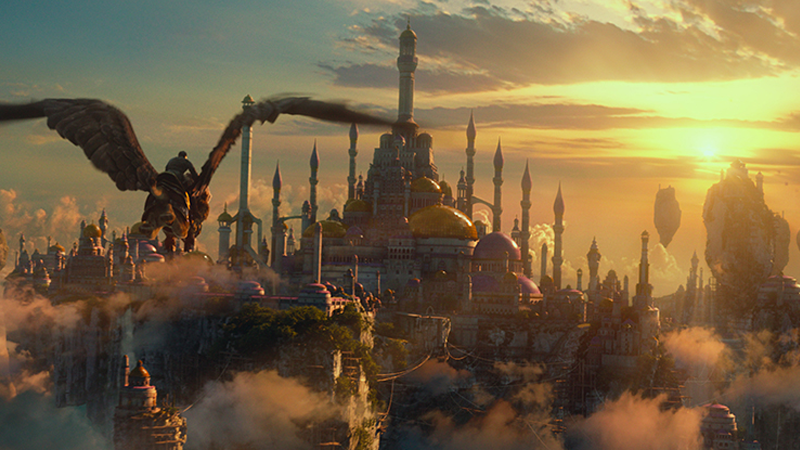 Azeroth, though, is the home of many races—very few of which are sadly in the film. At the time the film is set, there are elves (split into Quel’dorei and Kaldorei, a.k.a. High Elves and Night Elves, and even later down the line a subsection called the Blood Elves), dwarves, gnomes, trolls, goblins, and Tauren (large, bovine humanoids). Eventually with the arrival of the orcs the world is split into factions: the Alliance, composed of the humans, elves, dwarves, and gnomes; and the Horde, composed of orcs, trolls, and Tauren (goblins, being greedy creatures, have opt to stay mostly neutral in the hopes they could trade with both sides). As World of Warcraft has flourished and expanded over the years, several other races have joined those factions, like the undead Forsaken or the werewolf-mutated Gilnean Worgen, but they definitely won’t be in the movie. The only thing you’ll really need to know is the names “Alliance” and “Horde,” really. In the Warcraft movie, these two factions are mainly categorized as “Good Guy (Alliance) vs. Bad Guy (Horde)” but they eventually flourish into equal, morally more ambiguous entities as the series develops. Meet everyone you need to know in Azeroth. From left to right: Anduin Lothar, King Llane, Lady Taria, Garona Halforcen, Durotan, Ogrim Doomhammer, and Gul’dan. In the film, the main characters you’ll meet are largely the leaders of their various factions. On the human side, you’ve got King Llane Wrynn (Dominic Cooper), ruler of the kingdom of Stormwind, his wife Lady Taria (Ruth Negga), and the commander of their armies, Anduin Lothar (Travis Fimmel). The orcs are a little more complicated; you’ve got the sinister Gul’dan pulling all the strings for his demon masters and his lieutenant Blackhand (Clancy Brown), and then a group of orcs who are less okay with what Gul’dan is doing to the vast majority of their species: the chieftain of the Frostwolf clan Durotan (Toby Kibbel) and his wife Draka (Anna Galvin), and Durotan’s oldest friend, a mighty orc warrior called Orgrim Doomhammer (Rob Kazinsky). In the middle of all that lies a character that straddles both sides of the conflict: Paula Patton’s Garona Halforcen. As her name implies, she’s half-orc, half-human. Experimented on by Gul’dan to become his perfect spy, Garona acts as an advanced scout to the invasion of Azeroth—but is softened by her time with the Humans and ultimately joins them in an attempt to stop the invasion. There are two main kinds of magic that you’ll come across in the Warcraft movie—traditional magic, practiced by mages like Khadgar (Ben Schnetzer) and Medivh (Ben Foster) in the film, and Fel magic, practiced by warlocks like Gul’dan. Traditional magic was taught to the humans by the High Elves, and eventually the most powerful mages created their own independent city-state based upon the practice and research of magic for all mages across Azeroth, called Dalaran. In the games, the city later uproots itself and become a floating magical hub—something we’ve seen in Warcraft’s trailers has having already happened (you can see it in the header at the top of this post), probably as it’s the version of Dalaran most World of Warcraft players are most familiar with. Fel magic, on the other hand, requires consorting with demons to work, like the villainous Burning Legion. It’s straight-up evil stuff, to the point it’s defined by its sickly neon green hue. In the movie the most obvious Fel magic isn’t really magic, but blood magic; Gul’dan gives demonic blood to the orcs to drink, with promises of it giving enhanced strength... but he fails to mention it also a) turns the brown orcs’ skin a more traditionally orc-y green and b) makes them supplicant to the control of the Burning Legion. Womp womp. The Legion as it appears in World of Warcraft’s upcoming expansion, Legion. Synergy! The orcs aren’t the real bad guys. And yes, while the invading orcs might seem like they’re the villains of Warcraft, the Burning Legion are actually the ones behind it all, controlling the orcs through Gul’dan. Evil manipulators whose existence stretches back to the dawn of time in Warcraft’s universe, the Legion’s demon hordes basically tore across the galaxy, destroying planets and enveloping subjugated races into its folds. They’re lead by Sargeras, who was once a godlike being called a Titan that fought the demons before succumbing to their power, transformed into a humongous, fiery beast. There’s much more to them than that—but honestly, this is all you’ll really need to know in the movie. The orcs might look bad, but a general rule of thumb is that there’s always a bigger fish/bad guy out there in the Warcraft universe.